Solar water heating uses the sun’s energy to heat water for many different uses. There are successful examples of its use in homes for heating hot water, pool, and spa, as well as the home itself. It has also been used successfully in a variety of commercial and institutional buildings. Solar water heating is worth considering because it offers very compelling economic, environmental, and energy sustainability benefits. From a larger economic point of view, solar water heating system becomes very compelling when the hidden “economic and environmental costs and benefits” (externalities), as well as the subsidies we pay (for competing for conventional fuels), are considered. Because most heating systems burn fossil fuels, which creates pollution, all the energy saved by a solar water heating eliminates the pollution that would otherwise add to our problems of poor air quality, poor health, smog and global climate change, a problem which requires immediate action. Climate scientists are just now beginning to understand the consequences of burning fossil fuels to generate electricity and heat. They agree global warming will bring higher sea levels and an increase in the frequency and severity of damaging storms (how much and how soon they don’t know yet). 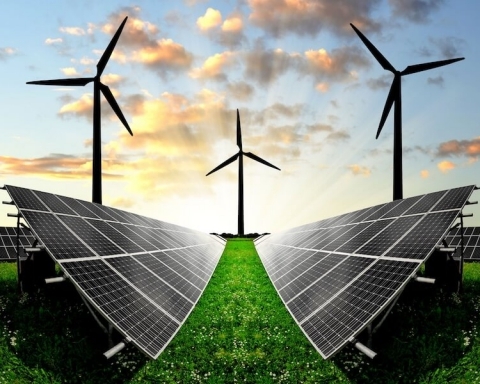 Many global banking and insurance companies, concerned about the long-term health of their industries, recognize the long-term economic consequences and are supporting sustainable energy sources as part of the solution. World petroleum supplies, at the current rate of consumption, won’t last a baby born today past his/her 40th birthday. Many believe the current rate of consumption won’t stay constant but will rise into the future, shortening that 40 year period. Solar water heating is one way to help stretch these limited supplies. The energy used each year by an average family (four people) with an electric water heater is roughly equal to the energy used by a medium-sized automobile driven 12,000 miles a year at an average fuel efficiency of 22 miles per gallon (about 11 barrels of oil). A residential solar water heating system can drop that consumption (and your hot water bill) by 50 to 80%, reduce pollution, and give you a sound investment for the future! Solar water heating can be a very attractive investment when it saves you more on your water heating bill than it costs you to buy the system. 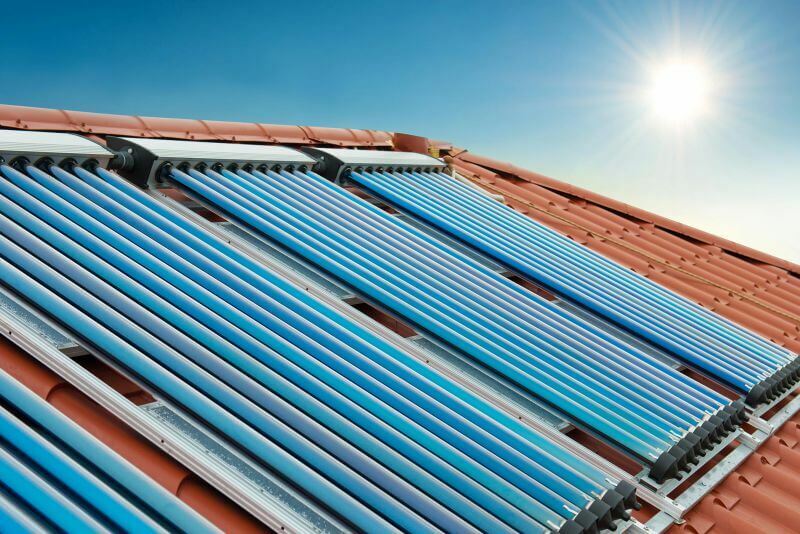 How good is a solar water heating investment? It all depends on how much the system costs and how much it saves on your hot water bill. To be thorough, it’s also important to account for the cost of maintenance, repairs, the estimated future rate of inflation and energy costs, financing terms (if you borrow the money), and perhaps even environmental benefits. As complicated as this may sound, it’s easy to make a decision once all these facts are accounted for – the best way to do that is with an economic analysis, where the solar system is compared to a conventional water heater. In some cases, financing or tax credits may also be available. Solar also improves the overall sustainability of our economy, both now and in the future, by providing jobs, by helping to reduce the need to buy fuel from foreign sources, and by reducing the ever-increasing environmental costs we are just now beginning to understand. Because the economics of solar water heating depends on the particular application, professional assistance cost wise in evaluating the economic aspects of your bill. Professional assistance providers should check out the list of professional tools as well as a sample Life Cycle Cost (LCC) analysis comparing the performance, economics, and other features of water heating options (including solar). If the weather in your location is suitable and you use the average families amount of hot water each day (about 64 gallons), solar water heating is worthy of serious consideration. The table below will give you a general idea of the investment value, based on average U.S. sunshine and different backup water heater types (a backup heater is needed to heat the water when the sun doesn’t shine). Propane or fuel oil backup Generally a good investment. or more per year (annualized life cycle cost). Because solar water heating can reduce the electricity or fuel used to heat water by 50% or more, the pollution caused by water heating is reduced by the same amount. The world’s top scientists and government officials have and will continue to make, new estimates of the cost of pollution. As you might imagine, the cost of pollution continues to rise as our population increases, and we better understand the consequences of climate change. As the cost of pollution goes up, the environmental benefits reaped from your solar water heater will become more and more valuable! A solar water heating system may overheat or freeze if it is not properly selected, designed, and installed. It can cause expensive damage to the system, or worse, a safety hazard. Fortunately, these types of problems can be avoided by using professional assistance in getting your system (professionals – see The Energy Guy’s Solar Water Heating Reliability Page; additional statistics or information is welcome). If you have experience in this area, please email your comments to us so that we may continue to improve our understanding of this important issue. For help in assuring you purchase a reliable system, professional assistance, and the advice of a reliable local person with a satisfactory solar experience of 5 to 10 years minimum, is recommended. Quality, cost-effective solar water heating system and experienced professional to install it, can be difficult to find, depending on where you live. Check out the professional assistance page for help in finding the best solution to fit your needs. Residential (domestic) hot water systems range in cost from a few hundred dollars for “do-it-yourself” systems to $1800 – $4000 for professionally installed systems, depending on the size. For a given system size, the installed cost is lowest to buyers of subdivision homes, followed by custom homes, and then existing home retrofits. Existing homes cost more than custom homes because the wiring and plumbing cost more to install when it isn’t installed during construction. Before you purchase a system, check with your local building department to verify the requirements in your area. Some states, such as California and Arizona, require all systems be certified by the Solar Rating and Certification Corporation (SRCC), and that the installer is a licensed solar contractor. How much will a solar system save on my hot water bill? The amount you save depends on how much hot water you use, your climate, and the particular systems available in your area. Be sure to pick the right system for your needs, as well as an experienced solar installer and maintenance person. An accurate estimate of your savings is important if you want to be sure it’s a good investment (or compare it to other investments). For general information on savings, the Solar Rating and Certification Corporation (SRCC), publishes Solar Energy Factors, which can be used to compare different solar systems (with electric backup only) to other water heaters under national average weather conditions. Specific information and links to state-of-the-art design tools for solar designers, specifiers, and installation professionals are available on the professional tools page. As this can get a bit technical, professional assistance is recommended. Most solar systems I see have an electric backup. Does it work with gas? Yes, solar water heating can work very well with a gas water heater, but not as well as they do with an electric one because of the extra heat loss from a gas heaters flue. A standard gas water heater has a large flue (pipe) that runs right up through the center of the tank, from the burner on the bottom to the exhaust outlet at the top; around a third of the energy used by a gas water heater is lost each day up and out the flue. Because most solar systems only send solar hot water to the backup heater when you are using hot water, the sun can only heat the remaining two-thirds of the energy used each day. This problem can be avoided by using either an alternative gas water heater or a solar system design that allows solar heated water to heat the backup water heater, even when no one is using hot water (a special type of natural “thermal-siphon” pipe loop is sometimes used to accomplish this). Can I have a solar system installed on the new home I’m buying in a local subdivision? It turns out this is the most economical way to get a solar water heating system. Subdivision developers can reap huge cost savings by purchasing systems in quantity. They can then sell an attractive energy “option” to the homeowner, after adding their profit margin to the cost, and everyone comes out ahead! Caution: make a point of not agreeing with a solar salesperson if they should ever tell you “cost is not important,” unless you happen to live by that rule in general, and always shop around! Should I be concerned – I’ve heard stories about expensive solar systems that never worked right? A famous person once said, “explorers are always followed by exploiters.” Most of these stories hail back to the era of large solar tax credits, and fledgling standards. The root of most of these “horror stories” are overpriced systems, poor installation and materials, and system “innovations” that had not passed the test of time. How competitive is solar water heating, costwise, against other water heaters? The answer is “it depends.” An economic analysis of various water heating alternatives available in your area is recommended, and can usually be obtained at a reasonable cost. Although solar has a higher first cost than most other water heating systems, it can be very competitive over the long term. In general, solar pool heating is an excellent, low cost, high return investment for those interested in extending their pool heating season as well as saving energy during the winter months. Given the amount of heat a pool requires, it’s not practical to use gas or electricity. Pool systems are widely available and becoming very popular due to their simplicity, low cost. Regarding domestic hot water, homes with electric or propane gas water heaters make a good solar investment. Homes with natural gas water heating, due to the current low cost of natural gas, make it more difficult for solar to be a sound investment. That said, do not be discouraged away from solar if you have natural gas, as some applications can still be viable. Subdivision homes, multi-family homes with central water heating, and other applications can benefit from “economy of scale.” Users of large quantities of hot water, such as car washes and laundries, can also benefit more from solar energy, compared to those with small hot water needs, because the “first cost” of solar will be recovered more quickly. The “total annualized cost of ownership” is the cost to install, maintain, fix, replace, and operate the water heating system over a 30 year period. Note: for those familiar with economics terminology, this is the annualized value of the life cycle cost. In this case, a natural gas water heater is the least costly option, followed by a passive solar system with a natural gas backup. Remember that this is just one example, looking at just two different solar water heating systems (there are several hundred others available), a particular set of economic criteria, etc. Professional assistance providers can help you find the most appropriate system based on your hot water use, climate, system options, and so on. 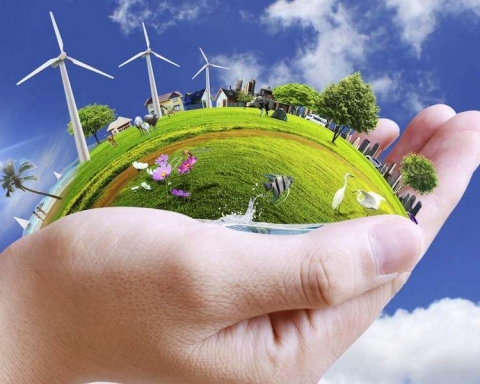 In this case, the externalities are limited to environmental impacts alone, and subsidies are estimated to add 10% to the cost of electricity and $0.05/therm for gas. Using these assumptions, the cost of a solar water heater with gas backup amounts to less than a dollar extra per month about gas alone. Again, remember that this is just one example, looking at just two different solar water heating systems, etc. There are very likely more (or less) cost-effective systems available than the two used in this example. The simplicity of many solar water heating systems translates into minimal maintenance, however, it depends on what system you buy. Be sure to ask what is required for the system(s) recommended to you both regarding regular maintenance as well as anticipated replacement costs of certain components or materials (such as pumps or antifreeze used in some systems). Some systems require regular maintenance, as frequently as once per year, while others may not require any maintenance for decades! To ensure high quality and satisfactory performance of solar water heating systems, consider getting certified by the Solar Rating and Certification Corporation (SRCC) of your solar energy equipment. SRCC is an independent, non-profit organization headquartered in Washington D.C. SRCC certification has become a requirement in some states, such as California and Arizona. We have very strict Covenants, Codes, & Restrictions (CC&Rs) in our area; what about appearance? Generally speaking, most solar water heating companies offer systems which range in appearance from a skylight to something close to a skylight. There are many different options for mounting solar collectors. Ask to see an installed system if this is a concern to you. If for some reason the Covenants, Codes, & Restrictions (CC&Rs) in your area are concerned about appearance or worse, restrict solar water heating systems, contact your local Solar Energy Industries Association (SEIA) for assistance. 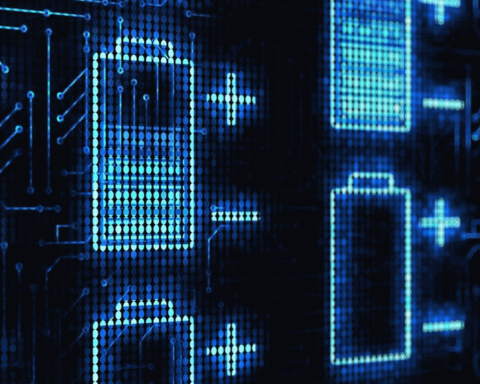 Previous Story Previous post: Fuel cell – What is it and how does it work?